Are you sitting down? Good, because you are about to receive a bit of shocking news. 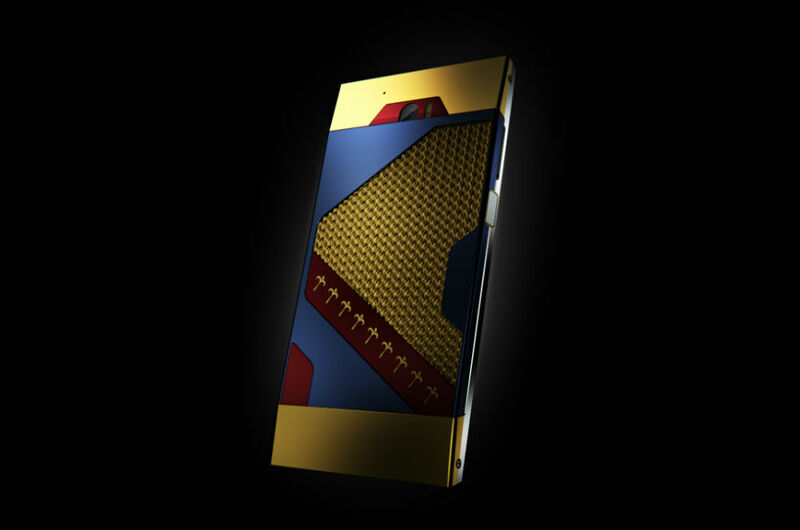 Yet another delay has struck the Turing Phone. Hyped as a phone with ultra security, made of Liquidmorphium, will probably never launch at this point, even though TRI, the company behind the phone, would like you to think otherwise. TRI has sent out a letter to those who pre-ordered, claiming that they are shooting to launch the device in April, pushed from their previous target of March, but there is also something else… The phone won’t run Android anymore, either. Stated by TRI, “We can now confirm that TRI has chosen to drop Android and use Jolla’s Sailfish OS. Sailfish OS is now running perfectly on the Turing Phone and we have started the final OS software testing phase.” TRI goes on to claim that SailFish OS blazes on the Snapdragon 801, an outdated processor that should not be shipped on a device that costs north of $600. TRI also states that the Turing Phone will come with an “Android application store” if you need to download any important Android apps to the device. To go along with this mess, TRI says that they are hosting a Turing Developers Conference in Q2 of this year. No word on when or where exactly this “developers conference” is taking place. To recap all of this, in case you have not been paying attention, the Turing Phone went live for pre-order in September of last year. Orders were supposed to ship in time for Christmas. Nothing happened. Those who pre-ordered were left wondering what happened. On Facebook, TRI stated shipments were being pushed to March, and that anyone who pre-ordered would receive a free upgrade. Now, shipments are expected in April, TRI is just now getting to software testing, and the SailFish OS is distributed by a company that doesn’t even have enough money to refund people who purchased its dead Jolla Tablet. This is a bad situation. If you pre-ordered this device, honestly, I implore that you cancel your order immediately and pray TRI refunds your money in a timely manner. TRI should be held accountable for claiming that the Turing Phone would ship with the Android OS and then taking people’s hard-earned money. And now, after all of these delays, you are receiving SailFish with an “Android application store” to download your apps. In my eyes, this is unacceptable. When you gave TRI your money, you expected to have a Turing Phone running Android in your hands by Christmas time. Now, you might see a phone running a completely different OS in April, and that’s if there are not anymore delays, which there probably will be. Cancel your order, get a refund, and wipe your hands of this disaster. And remember, backing a crowdfunded phone is almost always a terrible idea. Here is the complete letter to Turing Phone pre-orderers. You will be pleased to know that we have ironed out the final development tasks before we deliver the Turing Phone to your hands. We fully expect the Turing Phone to be delivered in the month of April 2016. Many of you have asked numerous times through our Facebook fan page as well as emailed us about our OS development. We can now confirm that TRI has chosen to drop Android and use Jolla’s Sailfish OS. Sailfish OS is now running perfectly on the Turing Phone and we have started the final OS software testing phase. Sailfish OS runs exceptionally fast on the Turing. You will not have to worry about performance issues with Turing’s Snapdragon 801 because Sailfish OS has been optimized to run fast on your Turing Phone. The Turing Phone will still be able to run Android Apps on the Sailfish OS without issue. An Android application store will be available for you to download your favorite apps. The Sailfish OS is an evolved continuation of the Linux MeeGo OS previously developed by an alliance of Nokia and Intel. MeeGo mobile software platform was created through the merging of Moblin and the Maemo OS originally developed by Nokia. This essentially means you have one of the world’s fastest mobile device running the fastest mobile OS with the capability of running your favorite apps in a secure environment. TRI will also be hosting its first Turing Developers Conference (TDC) during Q2 2016. We can’t wait to get the phones out to your hands. Thank you so much for your continued patience and support for the Turing Project. Question of the Day: What's Keeping You With Your Current Wireless Carrier?